My friend, writer/filmmaker/publisher, Brad Linaweaver, has considered — since his days as an undergraduate at Florida State University — the most dishonest movie ever made to be the 1973 Robert Redford/Barbra Streisand movie, The Way We Were, because of what he called its missing reel: the skipping over any mention of the Hitler-Stalin Pact between August 23, 1939 and Hitler’s invasion of Russia on June 22, 1941. During that almost two-year period members of the Communist Party of the USA — including many Jewish members — opposed the United States joining Great Britain in declaring war on Jew-oppressive Nazi Germany. George Orwell coined the term “memory hole” in his 1949 novel Nineteen-eighty-four to describe the erasure of any history or fact inconvenient to resisting current propaganda. Eric Blair — Orwell was his pen name — gave his novel’s viewpoint character Winston Smith a job he’d had in real life as a police functionary in British India: redacting and altering archives to reflect current government propaganda needs. Memory and the preservation of the past through documentary records is crucial to human existence. The philosopher Alfred Korzybski considered memory — he labelled it “time-binding” — to be what separates human beings from all other animals. There can be no personal identity without memory. When through trauma humans have lost memory of their personal lives — profound amnesia where an individual does not remember one’s own job, home, spouse, family, or friends — continued life begins anew, and often the rebooted personality has different opinions, tastes, and life preferences. Academic researchers and those teaching courses on witness testimony in criminal cases have often repeated in classroom settings an experiment where during a routine class an actor rushes into the classroom, does something dramatic, then abruptly leaves. The class members are then quizzed about what they just witnessed, and the class witness results vary wildly from the actual performance. After-action interviews of participants in military combat and police actions often find direct inconsistencies between firm memories testified to about the events and what physical evidence or even visual and audio recordings of the events later show. The formation of a memory while adrenalized can create an inaccurate recollection that convinces a witness to recount a false narrative thereafter. Emphasizing this artifact of human memory malformation and mal-retention is of great value to those who wish to manipulate people through propaganda that erases inconvenient facts. But now we see propagandists extending memory studies regarding fleeting events to memory in general, conflating eyewitness inability to remember what a bank robber looked like with witnesses testifying to their names, current home addresses, employment, and their family’s names. If human beings can be infantalized to the point where court testimony is worthless, why have trials at all? The totalitarian impulse to go from arrest to imprisonment has eliminated the barrier of overcoming a presumption of innocence with proof beyond a reasonable doubt. 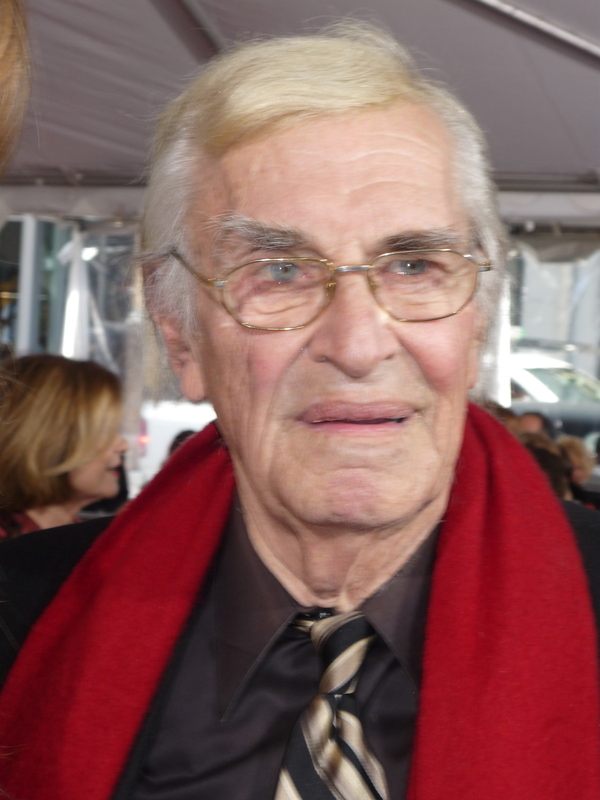 A few days ago the celebrated actor Martin Landau died. I — and half a dozen others I’ve discussed this with — have firm and detailed memories of repeated television, newspaper, magazine, and website reports of Martin Landau dying between two and three years ago. In my own case my firm and detailed recollections of Martin Landau’s earlier death include not only wall-to-wall TV news reports over the first few days, but conversations with fellow friends (some fellow entertainment industry professionals who had met Martin Landau), the Academy Award telecast including Martin Landau in its “in memoriam” presentation, and in my case reading a memorial article by a friend in a cult-movie online magazine remembering Martin Landau’s performance as Bela Lugosi in director Tim Burton’s 1994 film, Ed Wood. And our memories contradicted by this same writer friend denying any memory of Martin Landau’s prior death nor that he ever wrote such an article. But he also says that now that Martin Landau has died, this is, in fact, the article he will write. An actress I’ve worked with also tells me she recently took a class at the Actors Studio with Martin Landau, so he could not have been dead. This is not an isolated case. Over many years this discontinuity in memory has repeated for me numerous times — so often, in fact, that this has become the theme of my fourth novel currently in progress, The Fractal Man. Neither is this phenomenon rare. I met during a party at writer/producer Tracy Tormé’s house a woman named Starfire Tor who moderated a Yahoo! group devoted to such discontinuties. More recently these events have been called the Mandela Effect due to numerous people recalling that Nelson Mandela had died in prison and never became the first black president of South Africa. I have heard and considered many different theories to what this phenomenon indicates. UC Irvine cognitive scientist Donald D. Hoffman, PhD., posits that the human brain might simultaneously take in data from a much more complex reality, then — like computer binary data being simplified into desktop icons — present a conventionalized simple timeline. Physicists who consider the existence of parallel universes or multidimensional realities consider that there might be slippages between or among them. Physics these days keeps on offering up possibilities far beyond conventional experience: dark matter and dark energy; string theories with 11 physical dimensions; laboratory creations of new forms of water beyond the usual ice, liquid water, and steam; previously unknown types of light in which photons might even create solid objects. Then there are those who insist none of this can be real and what people like me are reporting about discontinuities are just bad memory. And they use these “studies” showing how bad witness testimony is to bolster their argument. The outright rejection, scoffing, and trolling of any report of the unconventional, extraordinary, or even unique is an artifact of the type of mind to whom order is more important than facts. These are the people Orwell warned you about. I think the reported memory discontinuities in my article “The Attack on Memory” indicate the necessity for at least a new scientific paradigm, if not a scientific breakthrough, to consider how the human brain, human consciousness, and physical reality intersect. This entry was posted on July 18, 2017 at 6:08 pm, and is filed under Alternate History. Follow any responses to this post through RSS 2.0. You can leave a response or trackback from your own site. Thanks for writing this. I’m looking forward to The Fractal Man. I was visiting a friend who’s mother has Alzheimers. Before she called her mother she reviewed a sheet of tips that the Alzheimer’s Society put out to help caregivers and family members when interacting with a person with Alzheimer’s. One of the items that struck me was how people with Alzheimer’s are “scared all the time.” and how they will fight with people who remember things differently. In that case they have been diagnosed with a memory disorder. But what about people who have NOT been diagnosed with this? What about when the usual ways that people misremember have been ruled out? One of the books I read about the mind talked about how things happen in the mind that are so small in the synaptic gap that “quantum” effects are possible (forgive me for my vague term) and by that I mean the same kind of effect that the new quantum computers are using. What if your consciousness is not all stored in the physical dimension that we are familiar with. If the multiple universe idea is real but we can’t physically go to another universe, maybe we can connect to the consciousness of our doppelganger who is us, until some kind of split happens. Even in the bible, so much is mistranslated from all the original texts, but the whole idea behind it has always been “spiritual” as opposed to “in the flesh” and events that speak of the physical world also coincidences with the spiritual world. In essence there are two factors. In the flesh and in the spirit. No doubt our natural state is split until our spiritual is reunited with our physical selves. Some have stronger connections to these factors more than others. The elderly who somehow get this Alzheimer’s disease might be more sensitive to the memory of other events in the past simply because they have been alive longer and the physical memory is breaking down and allowing that spiritual realm to filter through. A thing that would be used and manipulated by evil forces. A natural state that isn’t fully understood yet. That’s odd. I too remember Martin Landau already having died years ago. My reaction too, upon hearing news of his (most recent) death was, Hey, didn’t he already die years ago?